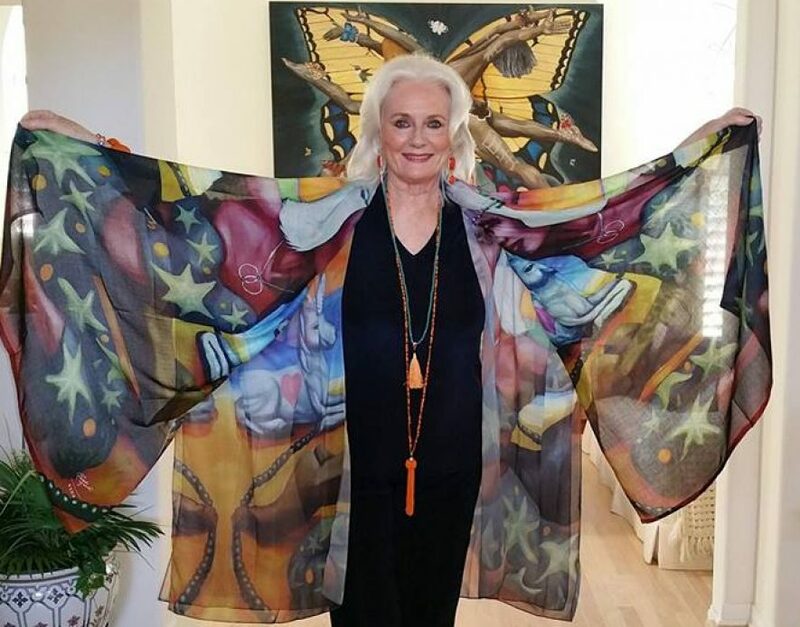 I have just added to my Celeste Yarnall VIDA Wearable Art webshop our new Yoga-Wear with lovely Yoga/Capri pants, a Racerback top and a new Multi-wear Wrap in the Egyptian Goddess artwork. All inspired by my Huband Nazim’s and my trip to Egypt and cruise down the Nile on a traditional Dahabiya! The curated collection featuring this image can be found at my Webshop. Both Nazim and I keep our prices at the lowest price point or what we call our wholesale so those of you with boutiques can carry our products and price them according to your needs. The Goddess was ever present for us Egypt and we loved every minute of this trip, we felt very safe, and the people were amazing..so hospitable and welcoming! More items below inspired by our amazing Egypt trip!